All surgical procedures have been created and then improved throughout history by surgeons regardless of the specialty. Documentation must be done by publication in peer-reviewed journals. While facelifts were first done in 1916 they remained relatively simple “skin lifts” until Dr. Skoog’s 1968 brilliant innovation of including the muscle of the lower face, the SMAS, in the facelift operation. 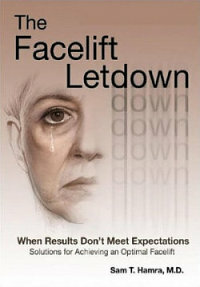 Dr. Hamra's innovation, published in 1990 as the Deep Plane facelift, was the first major advance since the SMAS publication. He continued to develop and publish many articles, which are listed below. 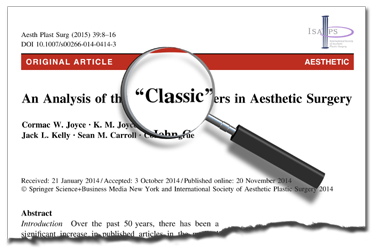 Recently a comprehensive study was published in Aesthetic Plastic Surgery, the Journal of the International Society of Aesthetic Plastic Surgery, analyzing the past 50 years of aesthetic surgery articles in all of the plastic surgical journals worldwide. Out of these thousands of publications, the study authors selected the fifty most significant papers. 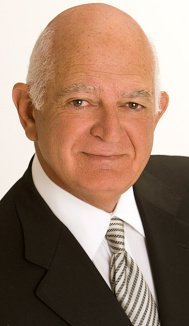 Dr. Hamra was honored to have three of the fifty and he was the only facelift surgeon in the world whose publications were on the list.